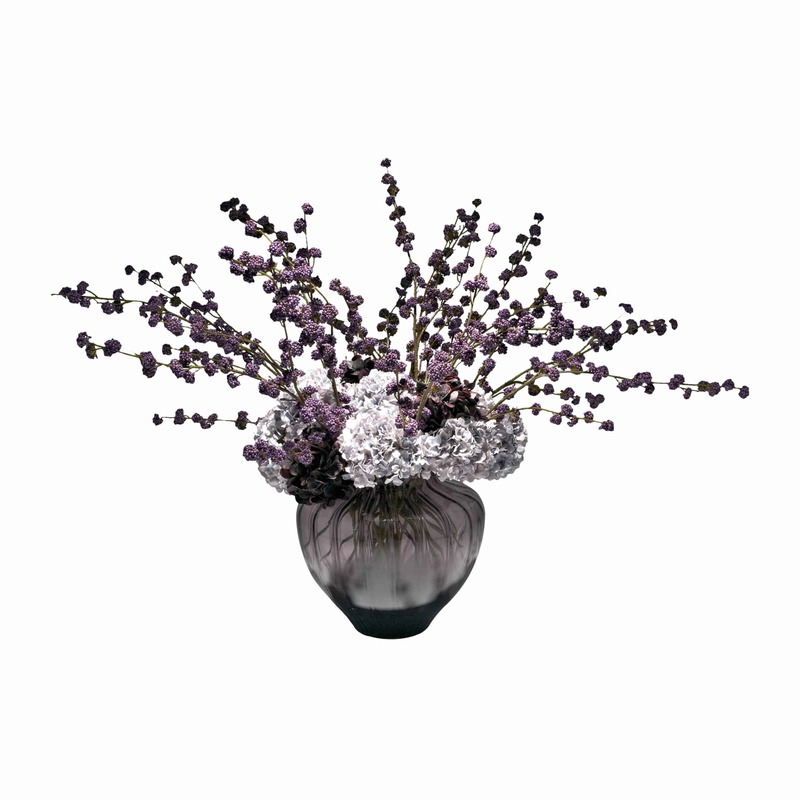 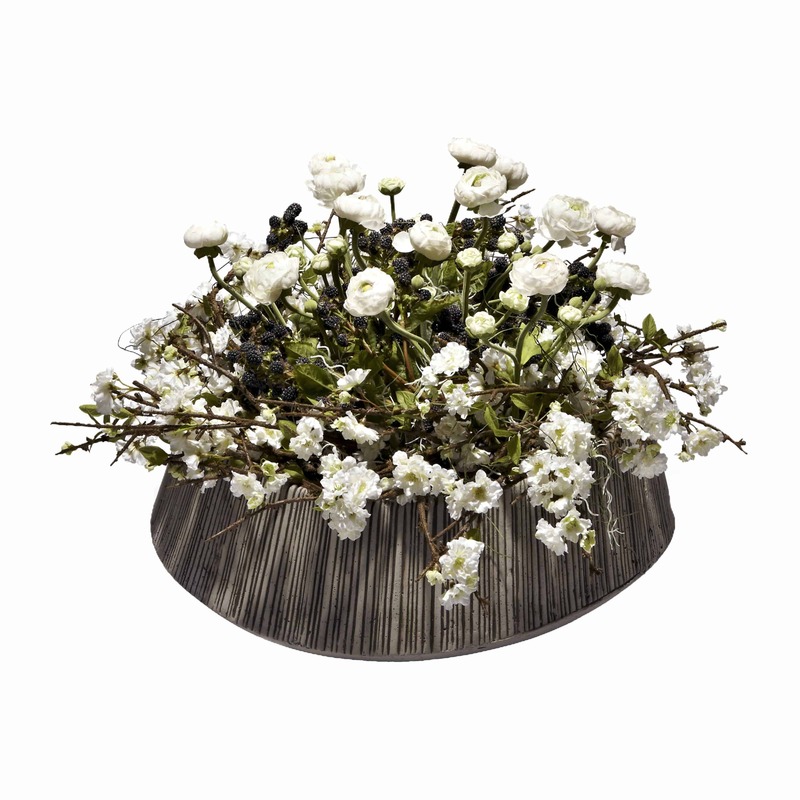 Lavishly created with white blossom, white ranunculus and blackberry in a rustic ribbed ceramic cement planter pot. 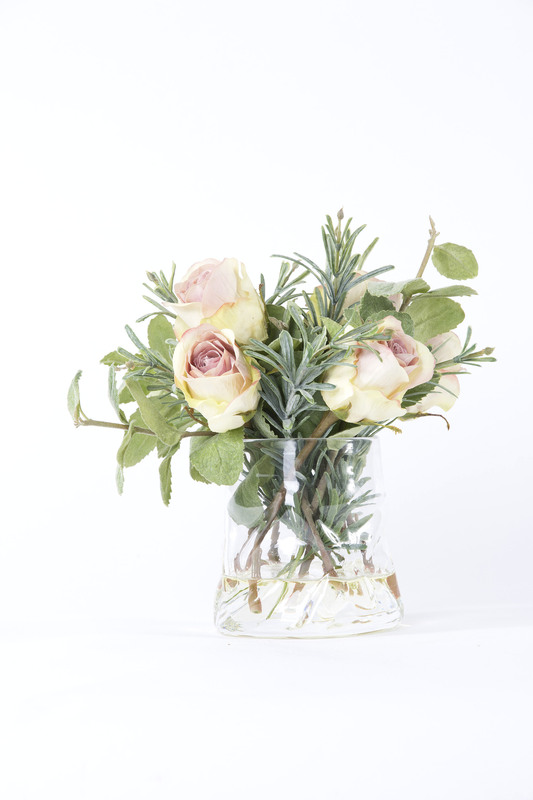 Arranged to create a free flowing rural feel of the fresh countryside. 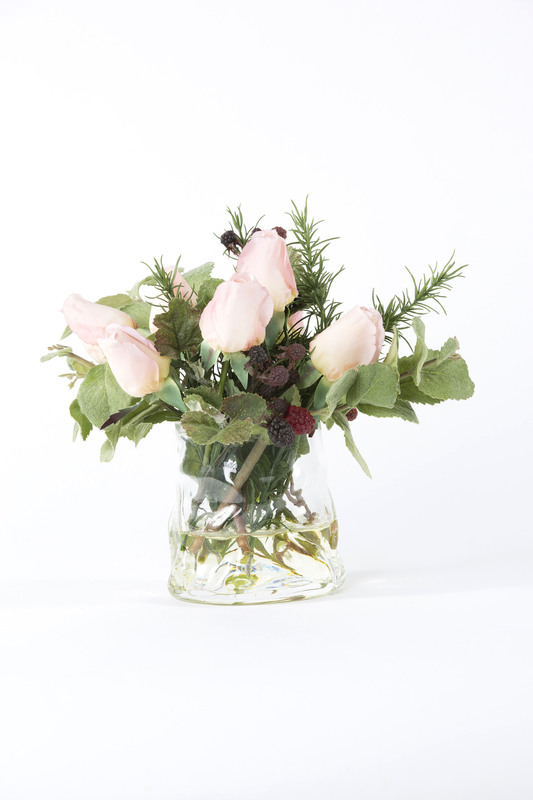 The exquisite silk ranunculus are true to life surrounded by fine blossom and wild blackberry creating an authentic and classic piece. 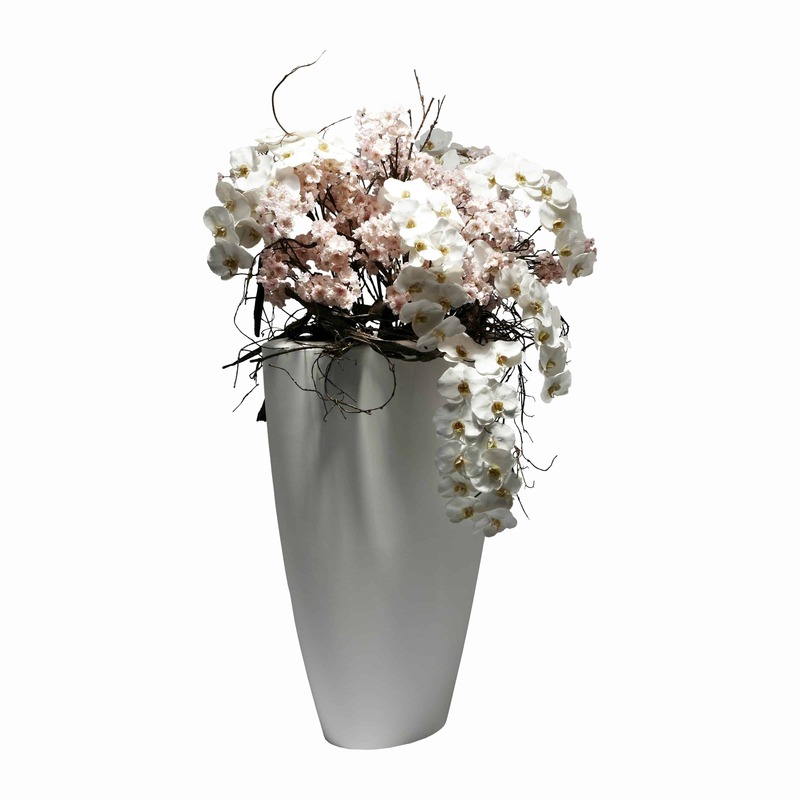 All encased in a magnificent pot which designed and handmade in Belgium with traditional materials creating unique and stunning piece.